If there's a warrant out for your arrest, you're living life on the run. If you're out and about anywhere in the Tempe area, you are under constant threat of winding up in jail. You could be wanted for murder, or your warrant could be the result of missing a court date for driving one mile over the speed limit. Regardless, if you even go the grocery store and roll through a stop sign or fail to use a blinker, your quick trip could result in an overnight stay behind bars, or worse. You don't have to live with the misery and constant anxiety, though. You may be able to resolve your warrants, and may even not have to spend one minute in jail. A criminal defense attorney can help you accomplish this. If you have one or more arrest warrants out, Tempe criminal defense lawyer James Novak can help you resolve the matter and find some peace. James Novak will carefully research the details of your warrant and advise you on the best course of action. He can also represent you on the warrant matter to any court or authority, and be your advocate on any subsequent criminal matter from which the warrant may have stemmed. Call the Law Office of James E. Novak today at (480) 413-1499 for a free consultation about your medical marijuana charges. James Novak represents clients with warrants in and around Tempe, including in Mesa, Gilbert, Phoenix, Scottsdale, Chandler and the East Valley. Police Arrest Warrants: When police are investigating a crime, they collect evidence. When they feel they have enough evidence to arrest a person, they present their evidence to a judge. The judge determines whether there is probable cause to arrest the suspect. Probable cause means there is enough evidence or information that a prudent person would believe the suspect committed the crime. If the police have such a warrant, they are more likely to seek you out at your home or office. You could be led out in handcuffs in front of your friends, family or coworkers. Bench Warrants: When you receive a citation, for a traffic offense or any minor matter, you are instructed to appear in court at a certain time at a certain date. If you fail to come, the judge may issue a warrant for your arrest. This is commonly called a failure to appear warrant. Failure to appear can be a separate offense, on top of whatever crime you were originally accused of. If the crime you are accused of is a misdemeanor or petty offense, then Failure to Appear is a Class 1 misdemeanor. If the crime is a felony, Failure to Appear is a Class 5 felony. A bench warrant may also be issues if you fail to comply with a court order, like if you fail to timely pay a fine. Search Warrants: A search warrant is not for your arrest. A search warrant means police have convinced a judge that there is probable cause they will find evidence for a crime, or contraband, like drugs, among your personal property. 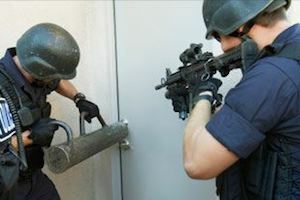 While a search warrant is not for your arrest, it's a good indication that you might be under investigation for a crime. Contacting a criminal defense lawyer might be a wise move. If you discover there is a warrant out for your arrest, you could pay the bond amount. After paying the bond, the court quashes the warrant for failure to appear, meaning there will no longer be a warrant out for your arrest. You still, however, must deal with the underlying criminal charge. The court will set a new date for you to appear. If you don't appear again, penalties could be more strict. Most courts have a "walk-in docket." A walk-in docket is a daily time in which people can come before the court without a scheduled appearance and discuss business before the court. The judge could reset the matter or he or she could order you taken into custody, among other options. You could also hire a criminal defense attorney. A criminal defense attorney could file a motion to quash the warrant and handle the underlying matter. An attorney could also represent you in any hearing and for any matter to police, the district attorney or judge. Maricopa County Sheriff's Office "TechnoCops": This site contains a database for searching for warrants by name. City of Tempe Arrest Warrants: This page contains information on arrest warrants in Tempe. If you currently have a warrant in the Tempe area, you can stop living in fear. Call the Law Office of James E. Novak today at (480) 413-1499 for a free consultation to discuss your options.